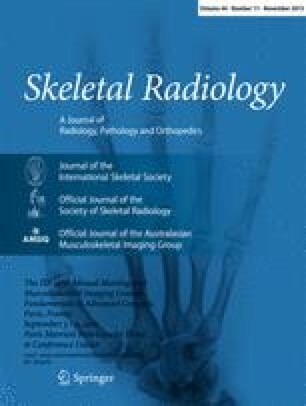 To evaluate, in a confirmatory fashion, whether baseline and change from baseline to 24-month follow-up in cartilage damage, bone marrow lesions and meniscal damage are predictors of knee replacement (KR) in subjects with a high risk of osteoarthritis (OA), independent of the level of physical activity, symptom severity and radiographic abnormalities. Data from the Osteoarthritis Initiative’s (OAI) baseline and 24-month follow-up knee MRIs of 115 patients (age range: 45–78 years; 48 % female; BMI: 20.9–48.7) were analyzed. Cartilage, bone marrow and menisci were semi-quantitatively scored according to the Whole-Organ Magnetic Resonance Imaging Score (WORMS) and Boston-Leeds Osteoarthritis Knee Score (BLOKS) systems in all compartments. Baseline and 24-month interval changes in structural tissue damage assessed by BLOKS and WORMS were used as predictors of KR independent of clinical and radiographic parameters using Cox hazard analysis. Adjustments were performed for age, gender, BMI and physical activity (Physical Activity Scale for the Elderly: PASE), Western Ontario and McMaster Questionnaire (WOMAC) total score and radiographic Kellgren-Lawrence (KL) score. BLOKS and WORMS baseline cartilage scores were predictors of KR independent of the PASE, WOMAC and KL score. One score increase in the average baseline BLOKS full-thickness cartilage defect score was associated with a [hazard ratio (95 % CI)] 13.55 (3.61–50.89) times greater risk of KR independent of the PASE, WOMAC and KL score. Net reclassification improvements (NRIs) of the additional evaluation of 24-month follow-up MRI scores and assessment of changes were not significant for prediction of KR (NRI range: − 7.23 – 24.8 %). The BLOKS cartilage score for full-thickness cartilage defects had the highest hazard for KR. Follow-up MRI changes in structural tissue damage, detected by BLOKS and WORMS cartilage, bone marrow or meniscus scores (up to 24 months) had no significant predictive value in addition to the baseline MRI. The OAI is a public-private partnership comprised of five contracts (N01-AR-2-2258; N01-AR-2-2259; N01-AR-2-2260; N01-AR-2-2261; N01-AR-2-2262) funded by the National Institutes of Health, a branch of the Department of Health and Human Services, and conducted by the OAI Study Investigators. Private funding partners include Merck Research Laboratories, Novartis Pharmaceuticals Corp., GlaxoSmithKline and Pfizer, Inc. Private sector funding for the OAI is managed by the Foundation for the National Institutes of Health. This manuscript was prepared using an OAI public use data set and does not necessarily reflect the opinions or views of the OAI investigators, NIH or private funding partners. Nima Hafezi-Nejad, Bashir Zikria and John Eng have no conflicts of interest. John A. Carrino has grants from the Society for Imaging Informatics in Medicine, Siemens Medical Systems, Carestream Health and Toshiba; fees from BestDoctors, BioClinica, Pfizer, Siemens Medical Systems, GE Healthcare and Medtronic; nonfinancial support from Siemens Medical Systems, GE Healthcare and Care-stream Health. Shadpour Demehri has grants from GERRAF 2014–2016; Carestream Health Inc. 2013–2015 for the Cone-Beam CT clinical trial; Toshiba Medical Systems as a consultant.